On October 26, Global Footprint Network founder and president Mathis Wackernagel and director of the Mediterranean program Alessandro Galli were in Almada, Portugal, as the city publicly released the findings of its first-ever Ecological Footprint report. 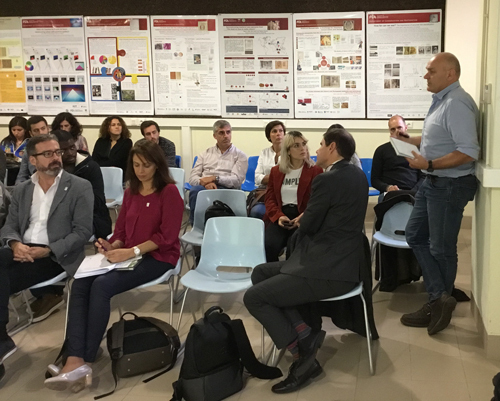 The public event kicked off the six-day road tour of the Ecological Footprint of the Portuguese Municipalities Project with local partners ZERO—Sustainable Terrestrial System Association and the University of Aveiro. 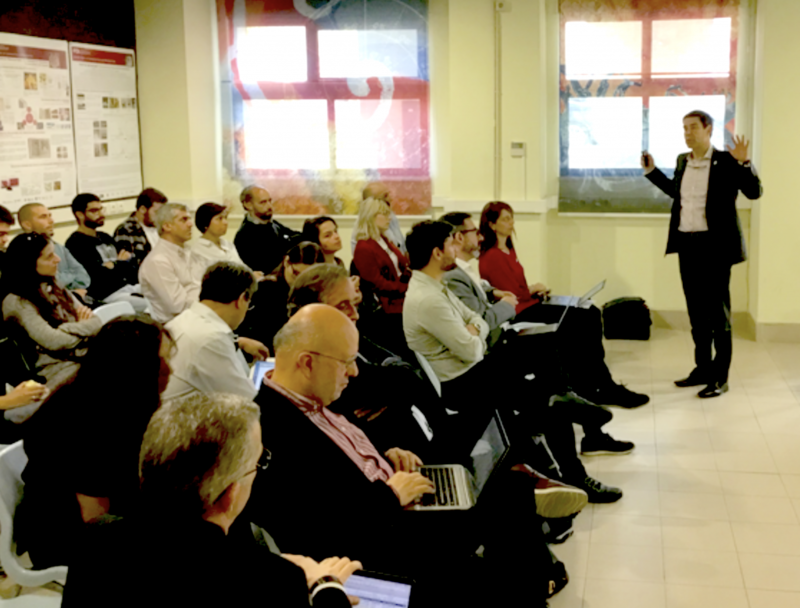 Hosted at the Universidade NOVA de Lisboa, today’s event was and was attended by about 30 people from the university, NGOs and the municipality’s administration. After an introduction by the president of ZERO, Francisco Ferreira, Mathis Wackernagel (right on the photo) spoke about one-planet prosperity and the importance of biocapacity. Alessandro Galli presented Ecological Footprint and biocapacity results of the Mediterranean region. He highlighted the latest city-focused work in the region and the role of cities as sustainability players and hotspots. Ecological Footprint of Almada: 4.08 global hectares (gha) per person, slightly higher (4%) than the national average. Food represents the largest share of the Ecological Footprint (28%) followed by the transport sector (21%). Almada’s biocapacity: 0.24 global hectares (gha) per person, 81% lower than the national average. The accute imbalance between Ecological Footprint and biocapacity points to local challenges to redesigning the consumption-vs.-environment system so as to reverse harmful impact. Almada’s first experience with the Ecological Footprint goes back to 2003, mentioned Nuno Lopes, Councillor of the municipality of Almada for the environment, innovation, climate, and energy (pictured speaking at right). As he commented on the new results, he welcomed the fact that the analysis confirms food is a priority area to focus on. He also stressed that the city is actively engaged in activities to reduce its Footprint and increase the local biocapacity. Strategies include diminishing energy use, promoting renewable energy sources, limiting urban expansion, and promoting green water infrastructures within the city.